You did a great job on it. It looks really nice. Too bad Hasegawa used the Army rotor head and rotor blades on it though. 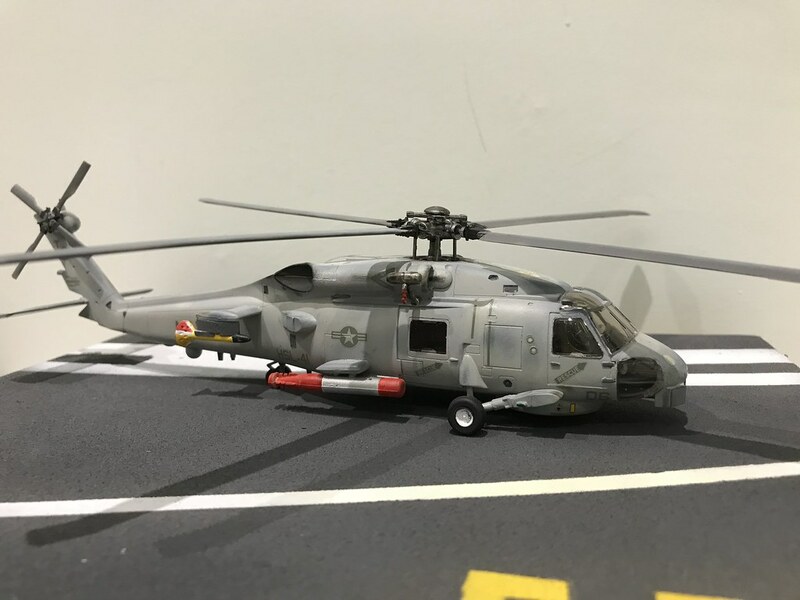 It should have the folding Navy rotor head and blades.